My name is Emma Boswell and I am a first-year PhD student in the Health Care Management and Economics department at Wharton. I am writing this first post from the train to New York en route to New Delhi, India! 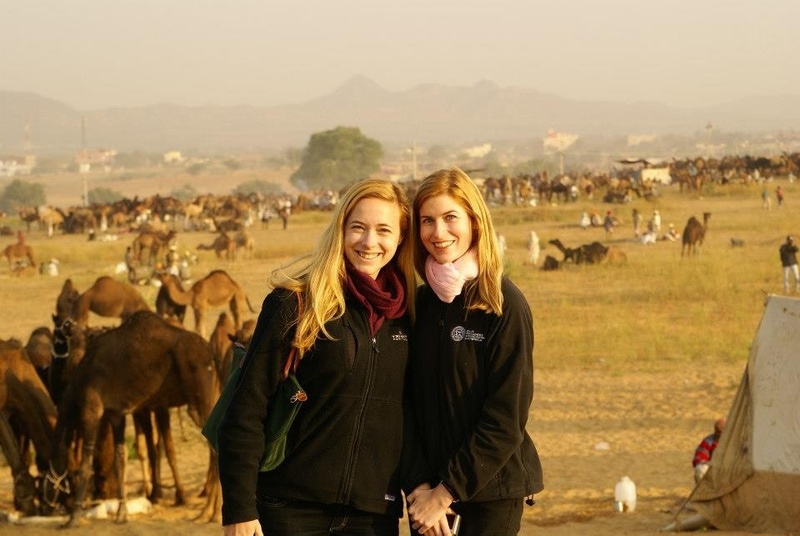 I went to India a few years ago and loved it – I am excited to be returning! Here is a photo from my first trip to India (I am on the left). This summer I will be conducting research on the Indian pharmaceutical market. For those less familiar with pharmaceuticals, once a “branded” or “originator” pharmaceutical product loses its patent, other companies can release cheaper “generic” competitors. However, while generic products in India are indeed cheaper than their branded counterparts, they do not reduce price as much as they should – a recent study of India pharmaceutical pricing found that generic versions of common drugs were 0-41% cheaper than their branded counterparts, but that the retailer mark-up for generic products was nearly 5 times that of branded products, implying that generics were still overpriced. In other words, despite India’s world-class pharmaceutical production market, their own population pays very high relative prices. This is an especially large concern given that more than 80% of health care costs are borne by patients. The high prices of branded, on-patent drugs has been a contentious issue, but even when generic drugs are introduced into the market, this has not been sufficient to achieve affordable prices. One potential cause of these high prices is the quality uncertainty of pharmaceutical products, at least as perceived by Indian consumers. There have been a few papers studying the percentage of counterfeit and low-quality pharmaceutical products in the Indian market, finding about 10% of drugs being low-quality or counterfeit. The idea is that when consumers are not certain of quality, they may perceive lower-cost products as being lower-quality. However, there are a lot of other possible causes for this over-pricing and I plan to study these over the summer using interviews and some sales data. So that is my research and I look forward to learning more this summer and also getting to see more of beautiful India!